Every person that comes to our office has insurance but chooses to pay out of pocket for a few reasons. Number 1 they don’t have to reach their deductible before the insurance coverage begins and there is no additional co-pay on top of that. Number 2 many times the insurance co-pay is more than our office fee. Many clinics will perform therapies that they know insurance will pay for and it maynot matter if the patient will benefit from it or not. We perform the treatments that are designed to give the best outcome for many complaints as quickly as possible. Number 3 our office only performs x-rays or other imaging that are necessary. Insurance companies do not dictate what treatments are provided at this type of office and we never ask how many treatments your insurance will cover. We believe that the highest standard of care is difficult to perform at a insurance based clinic. 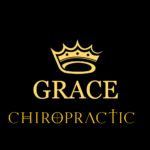 Grace Chiropractic Center offers preventative care, active treatment for injuries, and maintenance care. We want to reach the goals you have for recovery, performance and promoting your health.